It’s a big week here in the Midwest – spring weather has finally sprung! I’ll probably be crying in a week when the temperatures are back in the teens and it snows again, but for now, I’m relishing in the sunshine and 50-degree temps. And, with warmer weather comes a change in my wardrobe! Finally, I can stop looking at the same old sweaters day in and day out, and instead opt for oversized button-downs, distressed skinny jeans and slip-on sneakers. Oh, and a statement necklace in the prettiest of spring colors. Because bright statement necklaces always are a necessity, regardless of the season. If you’re looking to freshen up your accessories collection with some new spring baubles, The Shopping Bag has you covered! Now through March 17, receive 17% off your order when you use the code LUCKY at checkout. Happy shopping! By far one of my favorite casual looks! I love nothing more than a crisp white shirt and sneakers! So excited that it's finally reaching into the 50s over here too! Very fun Spring time look! Such a great look! Definitely needing a pair of slide-on sneakers! I just have to say you are so cute!! I like that outfit combo. I have shirts of that type and am always wondering what they best way to wear them is so they aren't just hanging. Thanks, girl – those sneakers are perfect for the warmer months! 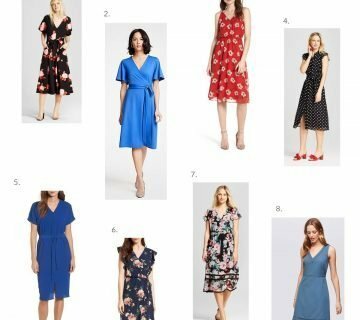 Old Navy has been killing it lately with their clothing selections! Cute outfit! Love a good slip on sneaker! Yay for Spring! Loving that necklace! Love that necklace and the shirt! Old Navy has some of the best items! I am LOVING this warmer weather too!! That is the ultimate compliment – THANK YOU, friend! I'm just glad I can get out to shoot these types of posts again without freezing my tush off. Yes, thank goodness is right! It's amazing what a little sunshine and warm weather can do for the soul! Thanks, mom! Those were a super clearance Target find – I love them! Thank you, lady! You know I'm all about the polished, casual look. We definitely were on the same page with the sneakers – I did the same thing when they were like $12 on clearance. Such a great find! I appreciate you saying that about my hair – I am not a fan of it, but I will just need to make it work until I can get it done again in a month or so. Luckily, every time I wash it, the blonde fades a little bit! Yes, you absolutely should! They are super comfy. I can't believe they only are sold online now – I was lucky enough to grab them when they were on super clearance in the store. Yes! I wear those shoes everywhere – best Target clearance find ever. Thank you! Isn't it amazing what nice weather can do for our overall mood? I feel like I'm a different person! Thanks, lady! I'm not typically into distressed denim, but these fit so good that I couldn't pass them up. Yay for warm temps! Thank you so much! I was lucky enough to score those when they were on super clearance at Target. Yay I love seeing style posts from you in my feed! You are always THE best at looking so polished without being overdressed. The accessories are the perfect touch! Thank goodness for spring! love the fun casual look. Looking cute in your Springtime look! Very comfy looking and stylish sneakers! LOVEEE that look, my fave. Casual but put together! Love those jeans. That second picture is too cute! I'm seriously digging this weather too, but trying to keep an open mind knowing Winter isn't completely over yet… I'm totally fine with pretending Spring is here in our wardrobe though. You look stunning, per usual! LOVING this weather too! I totally scooped up those shoes when they were on mega clearance at Target, and I wore them yesterday!! I know you're not crazy about your new color, but I think it looks great, perfect for spring. You can never go wrong with basics and statement necklace, looking great! I love those jeans, and your hair looks so pretty- love the lighter blonde! Yay for warmer weather! This look is perfect! I have those shoes – aren't they the best? We've been hit with some warmer weather this week as well, and it's seriously the BEST feeling! 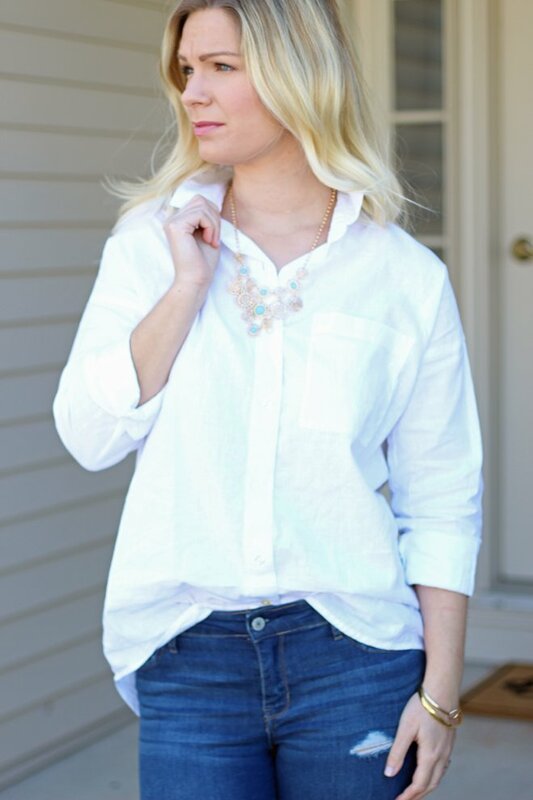 Love the classic simplicity of this outfit, plus the pop of sparkle from the necklace! I love that crisp white shirt on you! I'm so excited that there is some warmer happier weather finally coming your way! That necklace is a great pop of spring colors! Fabulous look! Yay for warm weather. It finally warmed up in NC too! 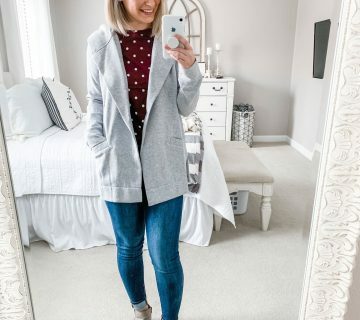 I'm loving your casual vibes – such a comfy but chic look! Those shoes are my favorite! Yay for warmer weather!! I hope it stays that way for you! Loving this look, so classy! And those shoes are amazing!